Audi Q7 2016 - Onwards Seatbelt Passenger side Repair Service. Models : 2016 - Onwards. This service involves you sending your seatbelts in to us with your full details inside with the parts. Did you know we our warehouse is in Leicestershire, you can collect or we may be able to drop off?. 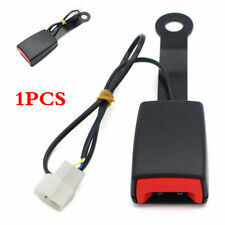 Audi Q7 4L Double Seat Belt Latch Buckle Black. Donor Car: 2006 Audi Q7 3000cc Quattro. The New and Used Audi Parts Specialist for all Audi models worldwide. It may fit others. Audi Part Number: 4L0 857 739 G.
BREAKING FOR PARTS: AUDI Q7 AUTO 3.0TDI QUATTRO S-LINE 233BHP 171KW 2006. MAKE SURE THE PART NUMBER MATCH WITH YOUR OLD PART. All our parts are used second hand and off the shelf so may have storage marks on them. BREAKING FOR PARTS: AUDI Q7 AUTO 3.0TDI QUATTRO S-LINE 233BHP 171KW 2007. All our parts are used second hand and off the shelf so may have storage marks on them. PAINT CODE -LZ9Y. MAKE SURE THE PART NUMBER MATCH WITH YOUR OLD PART. Q7 2007 onwards. This is a new,genuine Audi part. 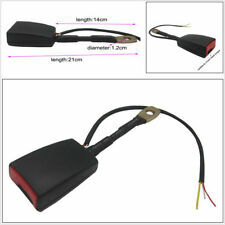 It is for the following cars Part number. Alternative part numbers. Audi Q7 Near/Passengers/Left Hand Side Seat Belt Pretensioner. Removed from a 2007 ( Q7 2006 To 2009 range) Audi Q7 S Line 3.0 Diesel Automatic 5 Door 4x4, Engine Code BUG. Q7 2006 To 2009. Seat Belt Front Stalk LH. NS is Nearside, Left, or the passenger side in the UK. OS is offside, right, or drivers side in the UK. IN ALL CASES WE STATE THE CONDITION OF OUR PARTS. We won’t take any responsibility for the compatibility of parts unless we have explicitly said it will fit. Donor Car: 2006 Audi Q7 3000cc Quattro. The New and Used Audi Parts Specialist for all Audi models worldwide. It may fit others. Audi Part Number: 4L0 858 491 A. 4L0857811V04 4L0857811C V04. 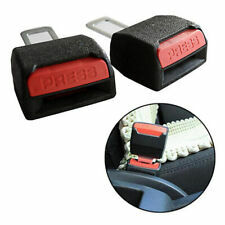 This is a rear seat row seatbelt (fits left or right location) for the following cars Q7 2007 - 2014 . This is a new,genuine Audi part. Part number. Alternative part numbers. Audi Q7 4L Rear NS Left Seat Belt Black. Donor Car: 2006 Audi Q7 3000cc Quattro. The New and Used Audi Parts Specialist for all Audi models worldwide. It may fit others. Audi Part Number: 4L0 857 805 G.
This part was removed from 2006 audi q7 3.0 tdi s-line. model was made from 2006 to 2015 with a facelift introduced in 2010. you can search for all parts currently available from this car by entering the reg ov56fhk in the search bar. 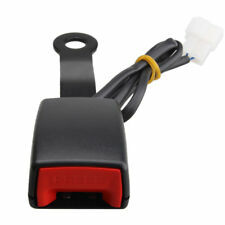 Audi Q7 4L Rear 3 Point Seat Belt Black. Donor Car: 2006 Audi Q7 3000cc Quattro. The New and Used Audi Parts Specialist for all Audi models worldwide. It may fit others. Audi Part Number: 4L0 857 811. OE PART NUMBER- 4L0857739G. 2015 AUDI Q7 4L 3.0TDI S-LINE AUTO -. TWIN CENTER THIRD ROW SEAT BELT BUCKLE LATCH. BODY STYLE EASTWOOD INDUSTRIAL ESTATE. UNIT 1B INSULATION HOUSE. (AUDI Q7 Seat Belt 0000303208. 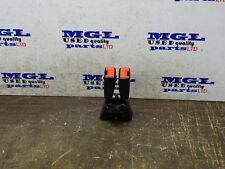 Other Details: Mk1 4L Left Rear Black 2006-2015 N/S REAR SEAT BELT 606669600. Jersey, Guernsey, Scilly Isles) as well as for the Scottish Highlands. $AUDI Q7 4L GENUINE FRONT LEFT OR RIGHT SEAT BELT BUCKLE PART NUMBER - 4L0857755E FITS DRIVER OR PASSENGER SIDE FRONT SEAT An item that has been previously used. The item may have some signs of cosmetic wear, but is fully operational and functions as intended. Please note eBay's Compatibility Checker does not take into account model specific parts and only generalises correct fitments. Please use Part Numbers that we providing for compatibility. WE SUPPLY GENUINE USED AUDI PARTS We maintain a clean and safe environment and are fully licensed and regulated by the Environment Agency.Audi parts available off the shelf, and because they are all genuine parts, quality and correct fitments is always guaranteed. Audi Q7 2011 - 2015 Seatbelt Driver Side O/S Repair Service. Models : 2011 - 2015. This service involves you sending your seatbelts in to us with your full details inside with the parts. Did you know we our warehouse is in Leicestershire, you can collect or we may be able to drop off?. Left Rear NSR, ( ). 2010 AUDI Q7 Seat Belt. This item has been removed from a: 2010 AUDI Q7. In the event that a part is supplied and proven to be incorrect or faulty, Hills Motors must be notified within 48 hours. VEHICLE WE BREAKING:AUDI Q7 3.0 TDI BLACK 2007. 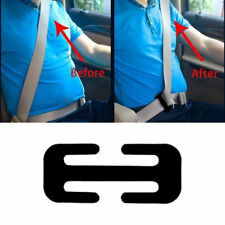 PART YOU BUYING: REAR LEFT PASSENGER SEAT BELT. PART NUMBER:4L0857805G. THIS DOES NOT INCLUDE NI, ROI, HIGHLANDS OR OFFSHORE ISLANDS. NS is Nearside, Left, or the passenger side in the UK. COLOUR CODE -V04. 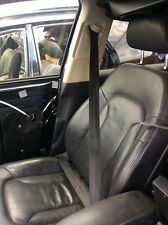 AUDI Q7 PASSENGER LEFT REAR BACK ROW BLACK SEAT BELT. OS is offside, right, or drivers side in the UK. We won’t take any responsibility for the compatibility of parts unless we have explicitly said it will fit. BREAKING FOR PARTS: AUDI Q7 AUTO 3.0TDI QUATTRO S-LINE 233BHP 171KW 2007. All our parts are used second hand and off the shelf so may have storage marks on them. MAKE SURE THE PART NUMBER MATCH WITH YOUR OLD PART. AUDI Q7 MK1. ITEM IS IN GOOD WORKING ORDER. CHANNEL ISLANDS. ISLE OF MAN. SCOTTISH ISLES. PART NUMBER: 4F0 035 415 A / 4F0035415A. BOSE DOOR SPEAKER. IF THERE IS A PART YOU ARE LOOKING FOR AND YOU CAN NOT FIND IT. FITTING SERVICE AVAILABLE. PART NUMBER: 4M0857811B. LEFT, PASSENGERS SIDE REAR PRETENSIONED SEAT BELT. Our site is spread over 5 acres consisting of a reception area, two large storage buildings, de-pollutions bay, vehicle racking facility, in house crushing/bailing zone. RRP £162.65 FROM AUDI. IT IS A LEFT or RIGHT REAR SEAT BELT IN SATIN BLACK. PART NUMBER IS 4L0 857 755 G.
Here we have for sale: Audi Q7 4M 15-19 Third Row Seat Buckle 4M0858491B. Part Number: 4M0858491B. Model: Audi Q7. A1 Auto Parts North West. Paint Code. PART NUMBER 4L0858491A01C. Genuine New AUDI Q7 Rear Seat Belts-Buckle. Free Shipping Quick Delivery Customer Support Genuine Used Car Parts AUDI Q7 4L Rear Right Seat Belt 4L0857806G Item Description Condition Shipping Contact Us Returns Feedback Item DescriptionConditionShippingContact UsReturnsFeedback ​​​​​​​This part is used and has marks and scratches. The pictures in this add are showing an exact item you are purchasing. In the United Kingdom: L/H = is Near side (Passenger Side) R/H = is Offside (Drivers Side) All items sold by us are being described to the best of our abilities, as accurate as possible, and with utmost conscientiousness on our part. ​​​​​​​ However, to avoid any potential oversights, I respectfully request your assistance in helping us to make this a mutually satisfactory transaction by THOROUGHLY reviewing item description and photos and asking all questions PRIOR TO Buy item. Donor Car: 2006 Audi Q7 3000cc Quattro. The New and Used Audi Parts Specialist for all Audi models worldwide. It may fit others. Audi Part Number: 4L1 857 706. Donor Car Colour: Bodywork is Blue Z5Q. Part Number : 606728300. Item removed from fully working vehicle. All our parts are genuine! Here we have for sale: Audi Q7 4M 15-19 Second Row Seat Buckle 4M0857739N. Part Number: 4M0857739N. Model: Audi Q7. A1 Auto Parts North West. Paint Code. AUDI Q7 2007-2015 MIDDLE ROW MIDDLE SEAT BELT. NS is Nearside, Left, or the passenger side in the UK. OS is offside, right, or drivers side in the UK. We won’t take any responsibility for the compatibility of parts unless we have explicitly said it will fit. (AUDI Q7 Seat Belt 0000303209. Other Details: Mk1 4L Left Rear Black 2006-2015 N/S REAR SEAT BELT 606669600. Jersey, Guernsey, Scilly Isles) as well as for the Scottish Highlands. 2007 AUDI Q7 3.0 TDI SE QUATRO REAR MIDDLE ROW PASSENGER SIDE DEAT BELT PN:60666960. WILL FIT MODELS FROM 2006-2010. IF CHEQUE, FUNDS WILL NEED TO BE CLEARED BEFORE ITEM IS DISPATCHED. CHANNEL ISLANDS AND THE. NS is Nearside, Left, or the passenger side in the UK. OS is offside, right, or drivers side in the UK. We won’t take any responsibility for the compatibility of parts unless we have explicitly said it will fit. Audi Q7 4L Rear OS Right Seat Belt Black. Donor Car: 2006 Audi Q7 3000cc Quattro. The New and Used Audi Parts Specialist for all Audi models worldwide. It may fit others. Audi Part Number: 4L0 857 806 G.
COLOUR CODE -V04. AUDI Q7 PASSENGER LEFT MIDDLE ROW BLACK SEAT BELT. NS is Nearside, Left, or the passenger side in the UK. OS is offside, right, or drivers side in the UK. We won’t take any responsibility for the compatibility of parts unless we have explicitly said it will fit. Donor Car: 2006 Audi Q7 3000cc Quattro. The New and Used Audi Parts Specialist for all Audi models worldwide. It may fit others. Audi Part Number: 4L0 857 817.